Dimensions: 1.5″ Tall. 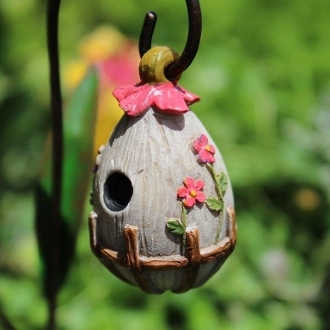 Flowering Birdhouse for Miniature Fairy Gardens. Hook not included.